CFL Workers Assistance Committee - ARE YOU A VETERAN? LOOKING FOR A NEW CAREER? 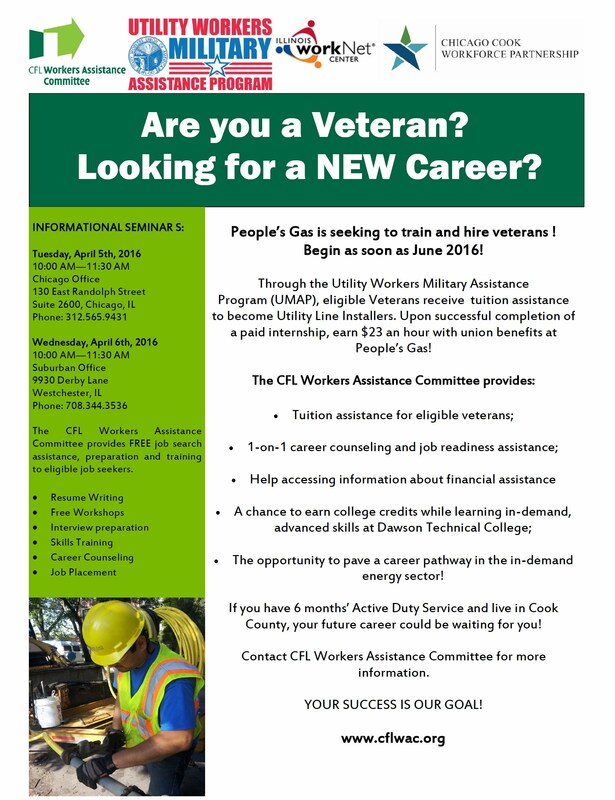 Peoples Gas is seeking to train and hire Veterans! Begin as soon as June 2016!